Recycling has always been super important in our homes. We understand that this great big Earth that we live on is a precious gift, and one that we want to last for even more generations. As our children get older we've try to stress the importance of recycling and taking care of the planet we enjoy every day. When we learned about the PepsiCo Recycle Rally we couldn't wait to join in! What is PepsiCo's Recycle Rally? The Recycle Rally is a free nationwide program that began in 2010 to directly benefit K-12 schools and their students. The program has pooled together valuable resources and incentives to make recycling not only rewarding, but fun and easy so that students will want to continue recycling well beyond the school year. 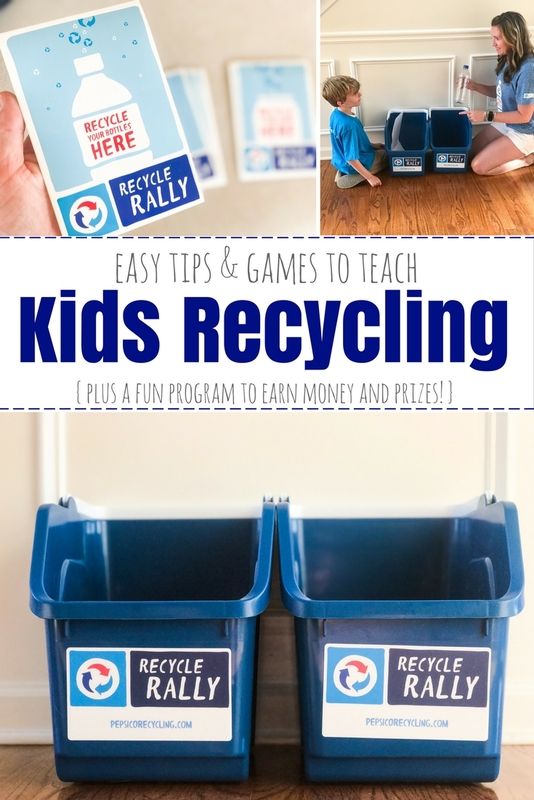 Whether your school has a well established recycling program in place, or if they are just starting out, the Recycle Rally program will help boost excitement and provide tools to help make recycling a huge deal for your student and their peers. To date already over 100 million plastic cans and bottles have been collected and over $1,000,000 in prizes have been rewarded to participants. How amazing is that?! With back-to-school festivities and excitement in full swing we couldn't think of a better time to participate in such a fun program - one that has life long benefits for our students! Joining the PepsiCo Recycle Rally was so easy, and the rewards...priceless! As adults recycling has just become a part of our everyday environment. 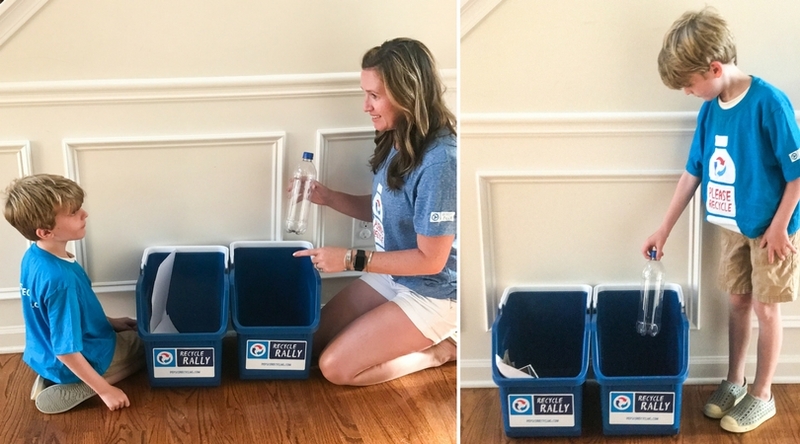 It's easy for us to save our recyclables, place them in the correct bins, and understand the importance that this small little daily task can make a big impact. For kids that is a harder concept to comprehend. Understandably their worlds are filled with so many new facts and fun activities that such a small part of their day - such as recycling that water bottle - might go unnoticed. After checking out some of the amazing Recycle Rally resources, we implemented a few suggestions of how to get kids to help recycle as well as came up with a few creative ways ourselves. Create a Recycling Station. One of the easiest ways to get kids involved in recycling is to explain to them what recyclable materials are and how to sort them. Once the concept is presented you can create a recycling station for them to begin recycling independently in your own home or classroom. It's such an easy way to get them involved and by placing a few small to medium sized bins in an easily accessible area they have a place to put their accumulated recyclables. Recycle to Learn. Check with your PTA or school to see if you can send in your recyclables for any classroom instructional needs. Teachers are often looking for additional supplies to help make learning fun. The STEM teacher at our school sends out a monthly list of needs and often requests bottles, cans, and other recyclables to be used in their classroom for various projects and lessons. You never how far an empty water bottle might go in the vast world of learning. So contact your school and see what talented ways your recyclables can help beyond the recycling bin. Go on a Trash Treasure Hunt. It's always astonishing to us what people will just throw away in a park, trail, soccer field, or even on our own neighborhood sidewalks. 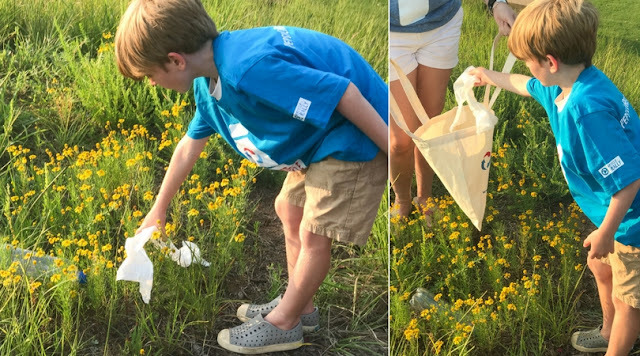 One fun way to teach your little ones to do a little good is to go on a trash treasure hunt. Bring a few bags, a few protective gloves, and let them loose in a safe area that you know could probably use a little help cleaning and recycling (we're looking at you little league baseball fields!). The person who fills up their bag the most in 15 minutes wins! This is such an easy task and one that instills a valuable lesson beyond the game. Nothing will make your heart soar more than when you see your playground rock star unsolicited pick up trash to put in the bin or grab a discarded soda bottle to save to place in a recycling bin later. We love how the Recycle Rally has sparked our excitement for recycling. It's amazing what the simple reminder of a sticker or a quick and easy recycling game can do for the community - and the environment - in the long run. We can't wait to see what the rest of the school year encourages and hope that you will join us in the PepsiCo Recycle Rally as well! If you are interested in participating sign up here. What fun and creative ways are you encouraging your kids to recycle?